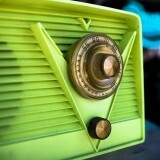 All photos – copyright Tim Russo. 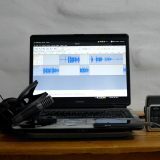 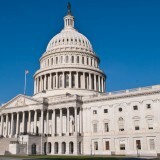 Hear and read the audio and text report, available here. 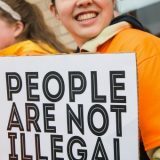 Click on any image to launch slideshow. 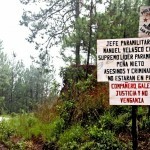 Signs painted by the Zapatistas calling for justice dotted the landscape into the depths of the Lacandon Jungle. 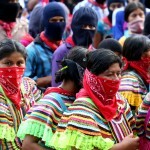 Zapatista women look on as visitors and supporters arrive in La Realidad. 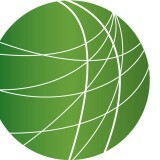 A Tojolobal woman rests by her camp. 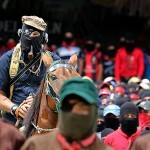 Subcomandante Insurgente Marcos made his final speech as spokesperson for the EZLN, announcing he was being relieved of duty, bringing an end to a “character” that had become a “distraction” to the movement. 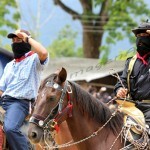 Subcomandante Insurgente Moises salutes Zapatista civilians and supporters. 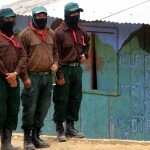 Zapatistas insurgents stand guard in La Realidad during an homage to their fallen compañero Galeano, killed in a paramilitary attack against Zapatista members in La Realidad on May 2, 2014. 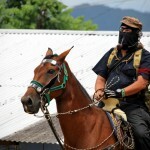 Subcomandante Insurgente Marcos rides horseback before Zapatista support base members in La Realidad. 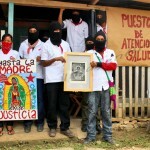 Zapatista health care providers gathered in La Realidad holding art that demands justice. 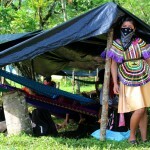 The Zapatistas have an extensive autonomous health and education system that they built throughout their communities. 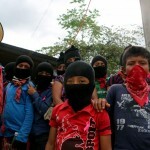 A group of young indigenous Zapatista boys in La Realidad, 2014. 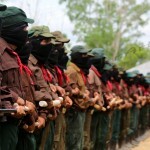 Indigenous Tzeltal, Tzotzil, Tojolobal, Chol, Zoque, and Mam peoples form the majority of the Zapatista civilian communities. 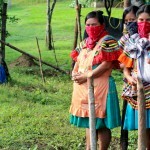 Tojolobal indigenous Zapatista women form a line in La Realidad during the event. 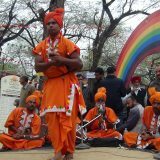 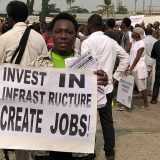 Women and youth have been given many new roles in the civilian structure of the organization. 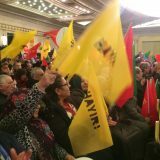 “Long Live Galeano” reads the banner in the background, signed by the National Indigenous Congress. 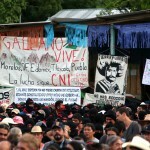 Thousands gathered in La Realidad to demand an end to the on-going violence directed towards Zapatista indigenous communities in Chiapas. 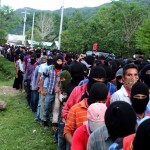 Thousands of Zapatista civilians and supporters form line, waiting to visit the grave of Galeano. 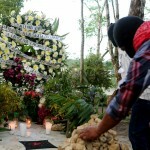 Zapatista supporters places stones on Galeano’s grave in La Realidad, Chiapas. 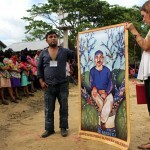 Artists stand before Zapatista supporters in La Realidad. 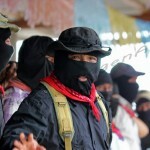 Subcomandante Insurgente Moises stands on the stage before Zapatista civilians and supporters.